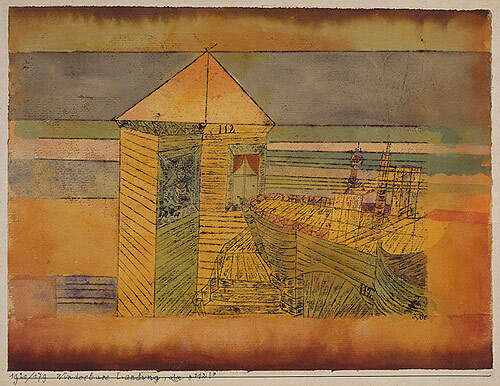 After Klee’s visit to Tunisia, where he was inspired by the quality of light, he returned home with the determination to be a painter, which was something he previously was unable to call himself. 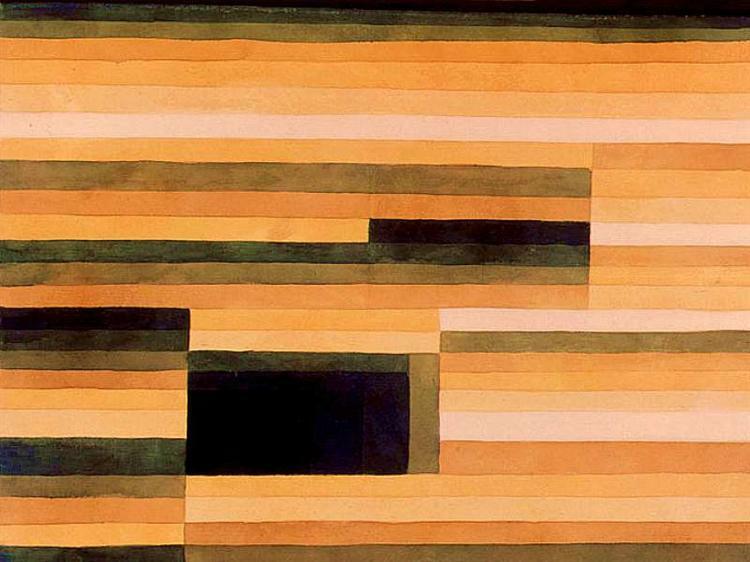 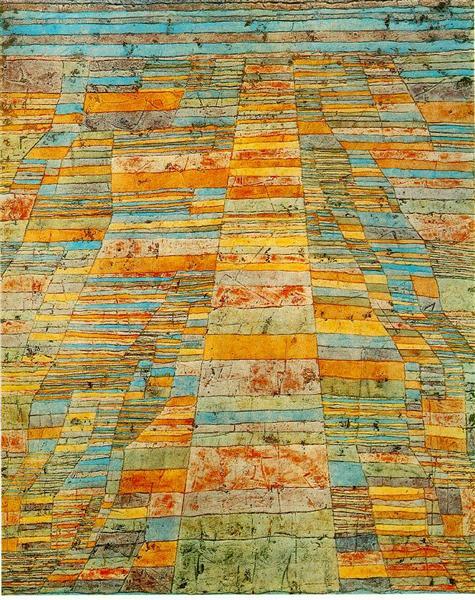 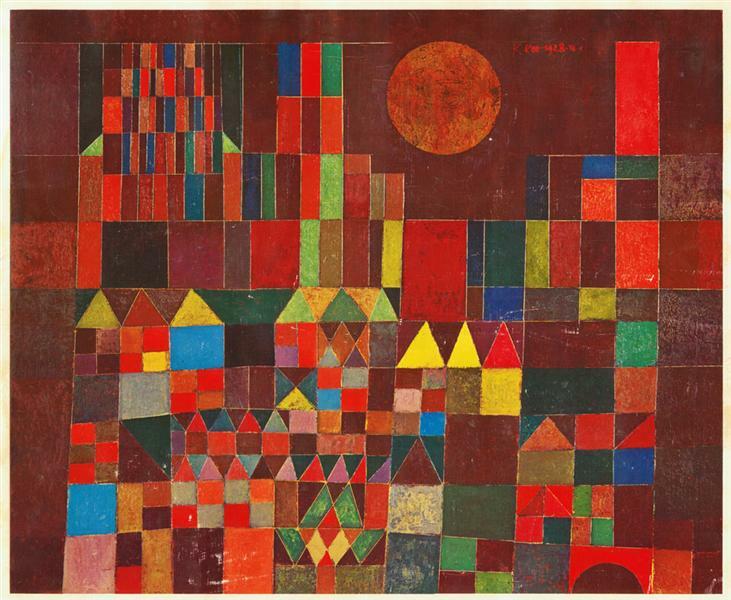 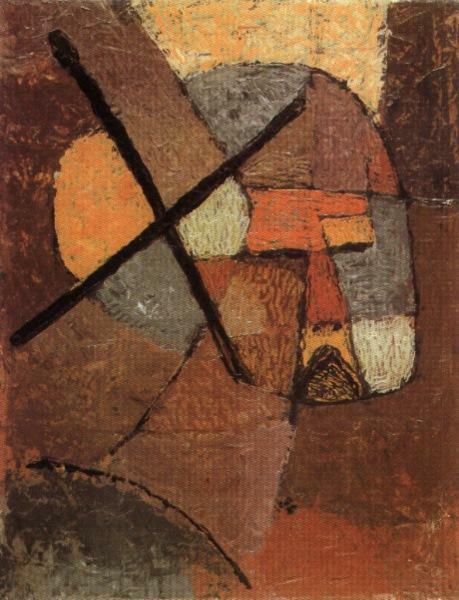 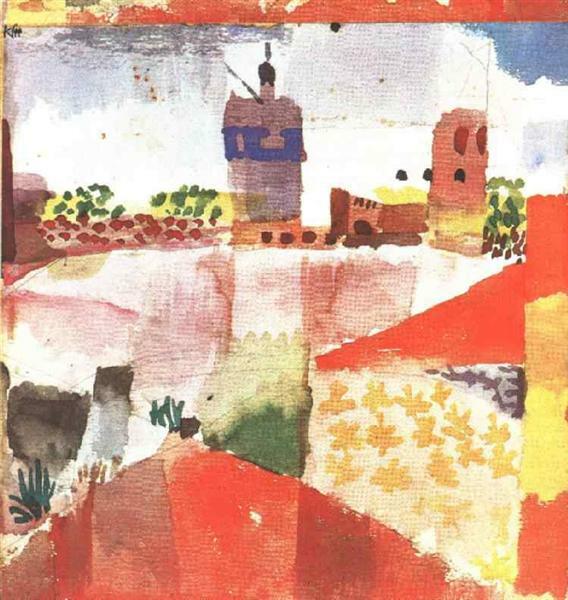 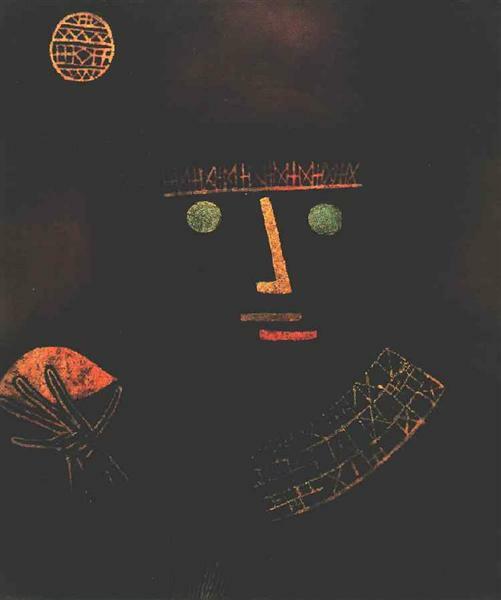 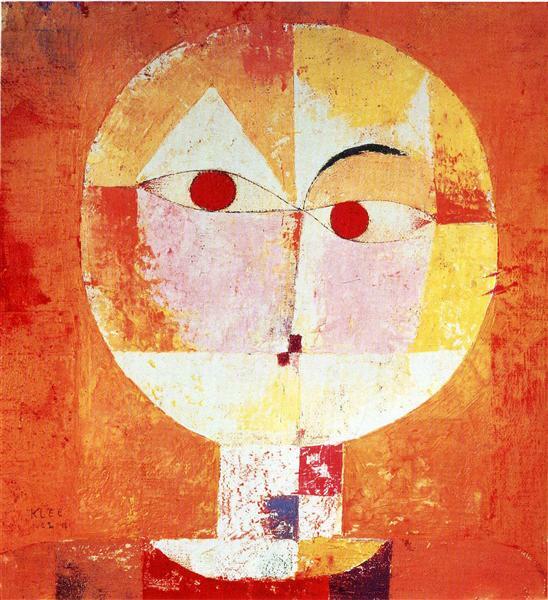 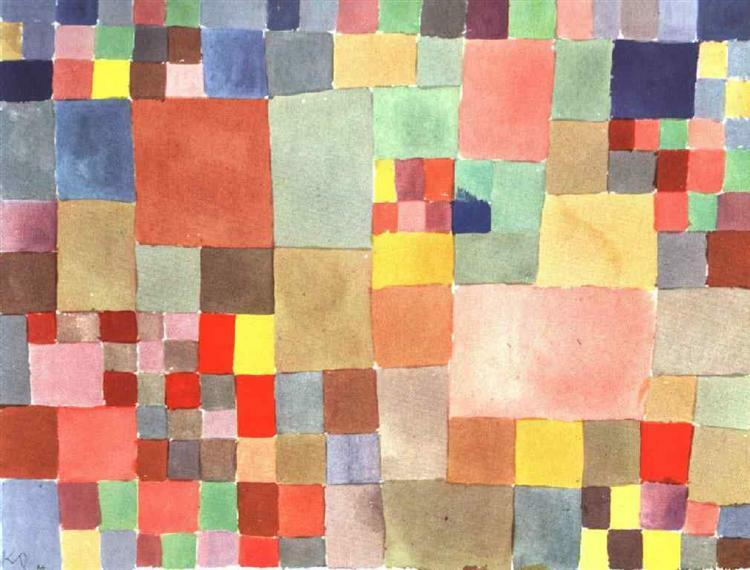 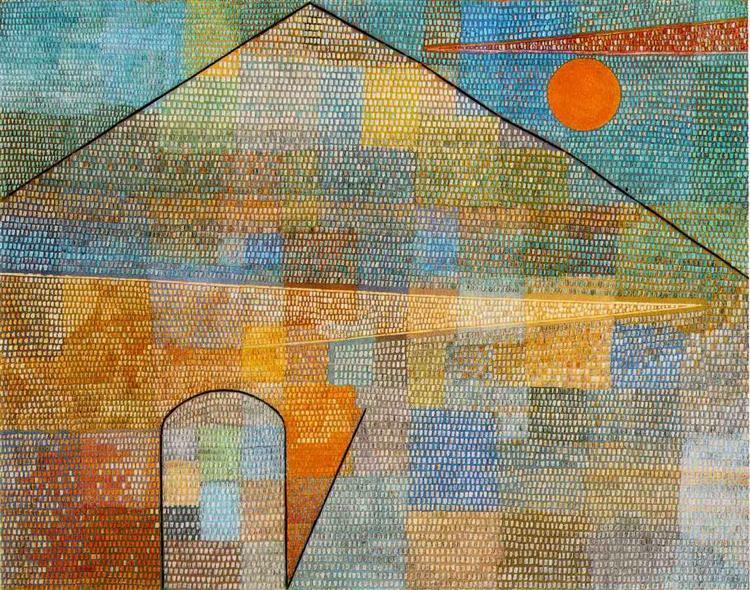 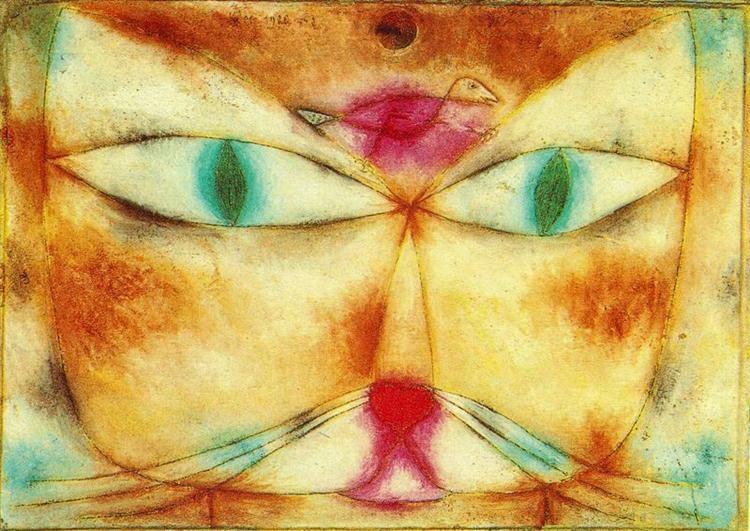 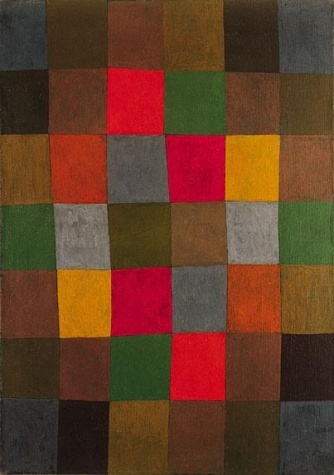 This led him to create this painting, a composition of simple colored shapes, and was the first purely abstract painting created by Paul Klee. 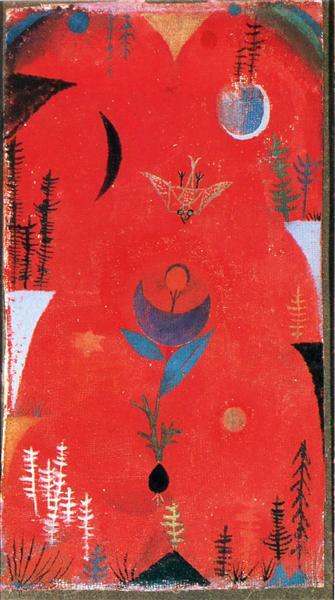 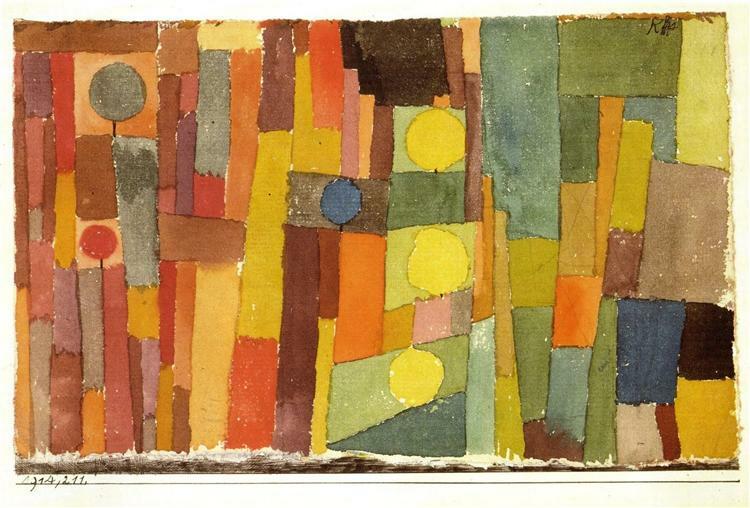 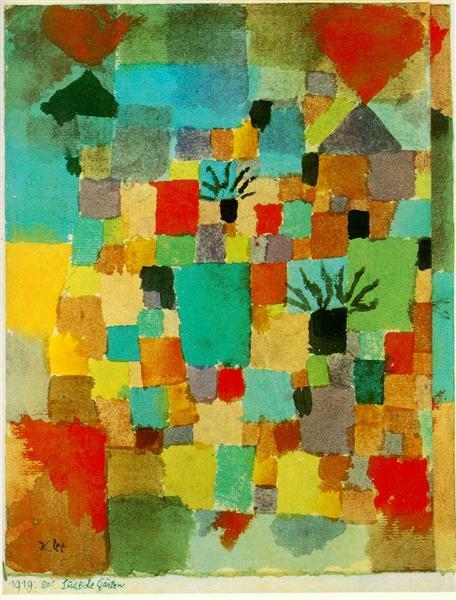 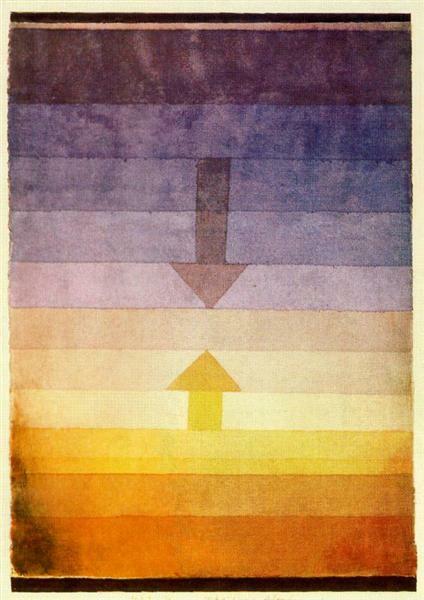 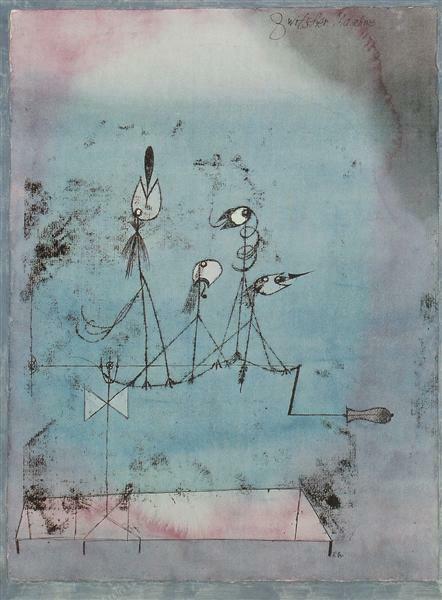 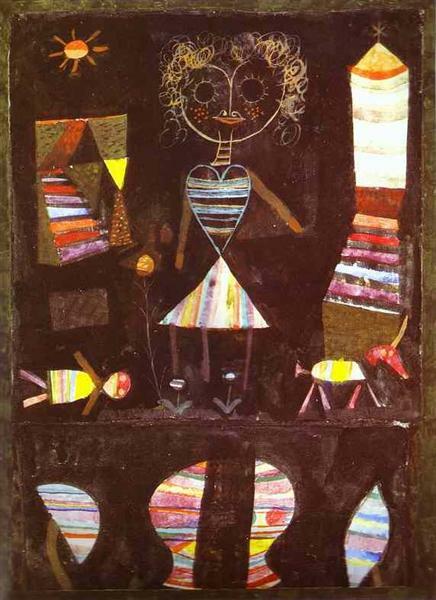 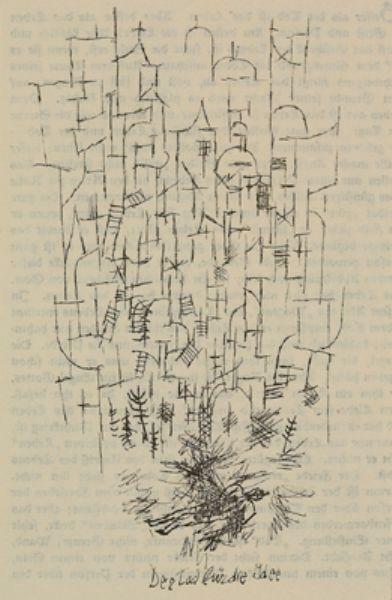 This composition is an illustration of Klee’s ability to use intonations of color to evoke a musical feeling. 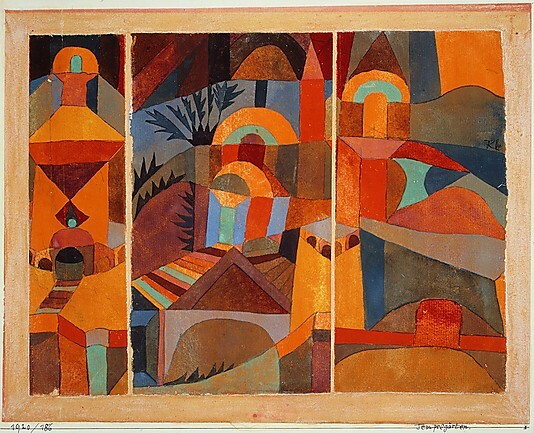 He begins the composition with the large rectangle in the center, then builds upon it’s strength and color to build the remainder of the composition, which flows from the first large note.